Philip Harold Red Eagle is of Dakota and Puget Sound Salish heritage. His father, Philip Sr., is of Sisseton-Wahpeton-Mdewakanton-Yankton descent; and his mother, Marian (formerly Mary Ann) is of Steilacoom-S'Klallam descent. Clan names are unknown. They met in the late 30's at Chemawa Indian School near Salem, Oregon and subsequently married in the Summer of 1940. Philip was born at St. Joseph's Hospital in Tacoma, Washington, 16 February 1945, and was raised in the Northwest, including Sitka , Alaska, were he graduated from Sitka Senior High School in 1963. He holds two degrees from the University of Washington, Seattle, a Bachelor of Fine Arts in Metal Design from the School of Art (1983) and a Bachelor of Arts in Editorial Journalism from the School of Communications (1987). He minored in Art Photography, Photojournalism and Native American Studies. Philip writes poetry, fiction, essays and reviews. His works have been included in Art Access , Encyclopedia of North American Indians , Humanities Today , Nobody's Orphan Child (Anthology), Northwest Ethnic News , The Raven Chronicles , Red Ink , Seattle Arts Commission Newsletter - Diverse Views , Guest Editor Series-1990. His current work is a book of fiction titled: Red Earth - A Vietnam Warrior's Journey . Red Earth has received high praise and is now going into a 2nd Edition. Red Earth is actually two novellas focused around the return home of Native American Vietnam veterans and their struggles with their loss and inability to cope with with their past. It is Philip's experiences in Vietnam in 1970-72 that he draws his images for these stories. Philip is also a visual artist and a photojournalist. His photos have appeared in American Indian Art Magazine , Air Cal Magazine , Northwest Ethnic News , The Raven Chronicles , The Seattle Post Intelligencer , The Seattle Times and The Tacoma News Tribune , as well as several gallery exhibits across the country. Philip is the originator and co-founder of The Raven Chronicles - Multicultural Journal of Art, Literature & The Spoken Word (1990). He is currently publishing a South Sound Edition of the Raven out of Tacoma, Washington. There is also an On-Line Edition of the Raven. Philip has also worked in the area of cultural resurgence for the last five years. He has been part of the Canoe Nations Program which is bringing back the Traditional Carved Canoe to the Northwest. He is primarily concerned with using the canoe as a mechanism in which to bring about cultural change among the tribes and to bring the notion of traditional ideas to bring about healing and pride among Native youth. He has found that it also works with adults and elders. The focus of the use of these canoes has been in canoe journeys which encourage group cooperation, discipline and cultural pride. This is a growing program which has no single leader. The leadership comes from the canoe societies of each tribe and various spiritual and cultural persons from the area. This years journey, Power Paddle to Puyallup, started in Vancouver, British Columbia (Squamish) and passed through Tsawwassen, Lummi, Swinomish, Tulalip, Port Gamble S'Klallam, Suquamish Nations and finished at Puyallup, near Tacoma, WA. This has been a rapidly growing and successful program. The spiritual aspect has been especially powerful and has left some very positive and beautiful images in the hearts and minds of it participants. 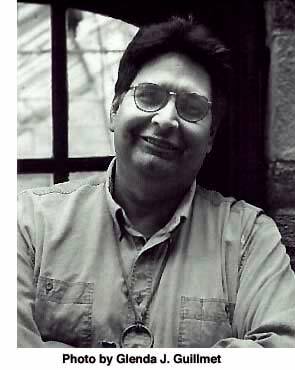 In 1990, Philip was the Guest Editor of Diverse Views , the Seattle Arts Commission Newsletter. He was awarded an Artist Trust GAP Grant for Literature and the Louis Littlecoon Oliver Memorial Prose Award Awarded by the Native Writers' Circle of the Americas at the University of Oklahoma - Norman, Oklahoma. In 1997 he received the Margaret K. Williams Award for Support of the Arts by the Pierce County Arts Commission. Philip has served on the Boards of the local FEMA Board in Tacoma in 1997-98, the Red Eagle Soaring Theatre Group in Seattle, the InterTribal Cultural Arts Coalition of Tacoma, and the Northwest Native Writers' Circle of Seattle / Tacoma. He has also served on panels for the Seattle Arts Commission for Community & Traditional Arts and for Community Arts, the Regional NEA Panel on Photography in Minneapolis, and the Governor's Task Force on Arts for Heritage and Cultural Preservation. Red Earth: A Vietnam Warrior's Journey , Holy Cow! Press. Contemporary Native American Literature , Coffee House Press. Nobody's Orphan Child , 1996 Red Sky Poetry Theatre Anthology. Encyclopedia of North American Indians , Marshall Cavendish Corporation. This is an "official" site in that this page was constructed with the assistance and active collaboration of the poet, Philip Red Eagle. © 1998 Philip Red Eagle and Karen Strom.